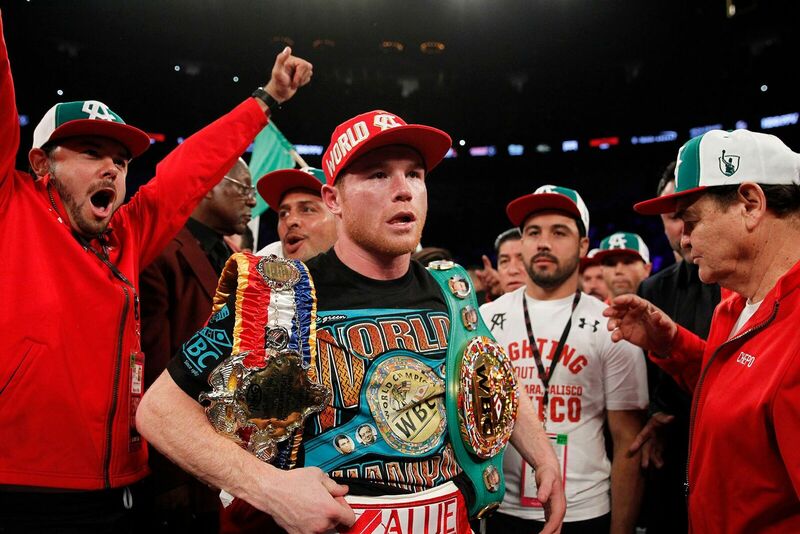 Canelo Álvarez (47-1-1, 33 KOs) successfully defended his titles in a brilliant performance with a vicious knockout of Amir “King” Khan (31-4, 19 KOs) in the sixth of 12 scheduled rounds. 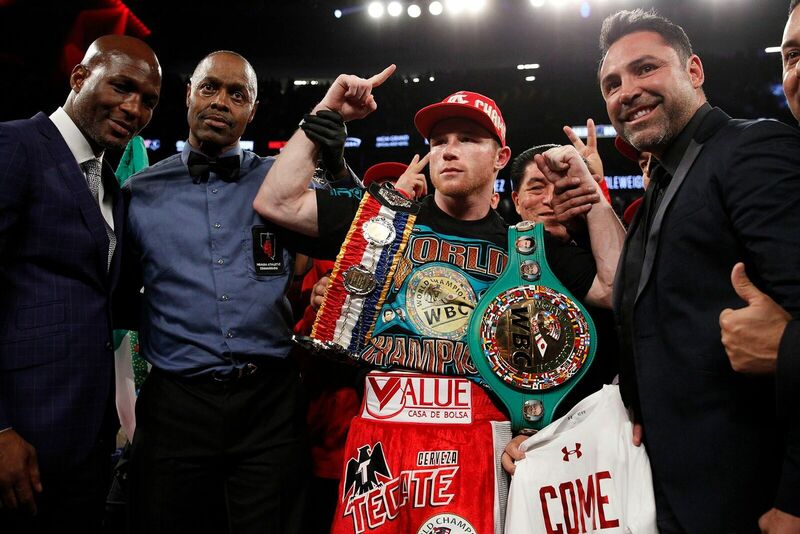 Khan performed strong at the start of the fight, but Canelo’s one-punch kayo ended things in round 6, and will likely go onto be the 2016 Knockout of the Year. 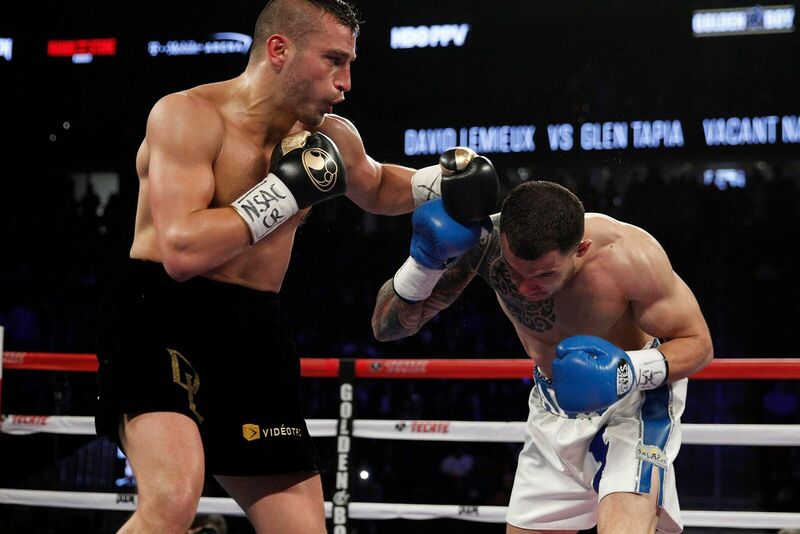 For the evening’s co-main event televised live on HBO Pay-Per-View, the hard-hitting former IBF Middleweight World Champion David Lemieux (35-3, 32 KOs) dominated against Glen “Jersey Boy” Tapia (23-3, 15 KOs) with a technical knockout in the fourth of 10 scheduled rounds to claim the vacant NABO Middleweight Title. In the fourth round, Lemieux knocked Tapia down hard to the canvas, giving the fighter his first career knockdown. Tapia jumped up quickly, but his corner waved off the fight, leaving him pleading with them not to stop it. Also featured on the Pay-Per-View telecast, former WBA Interim Super Lightweight World Champion Mauricio “El Maestro” Herrera (22-6, 7 KOs) combated against the undefeated, rising contender Frankie “The Pitbull” Gomez (21-0, 13 KOs) in a 10-round welterweight brawl. Gomez began the exchange with the first jab of the fight, however; Herrera kept cornering the “Pitbull.” The second round was filled with left jabs and speedy combinations on behalf of Gomez, with Herrera responding with power combinations. 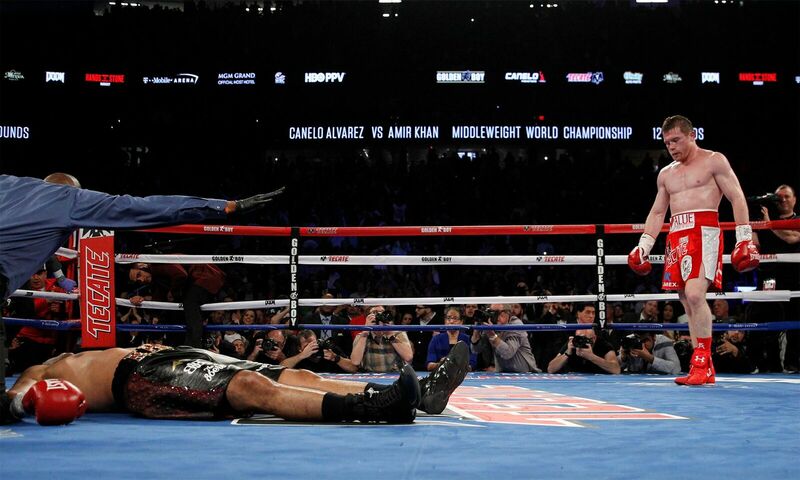 Gomez landed a body shot, leaving Herrera out of breath. In a heated interchange of blows, Herrera received a cut under the eye. Things got heated in the ring and in the eighth round, “El Maestro” signaled the “come at me” look towards Gomez. The all-out brawl was a tough one for both fighters, but the judges agreed that Gomez deserved the victory by unanimous decision in the end. 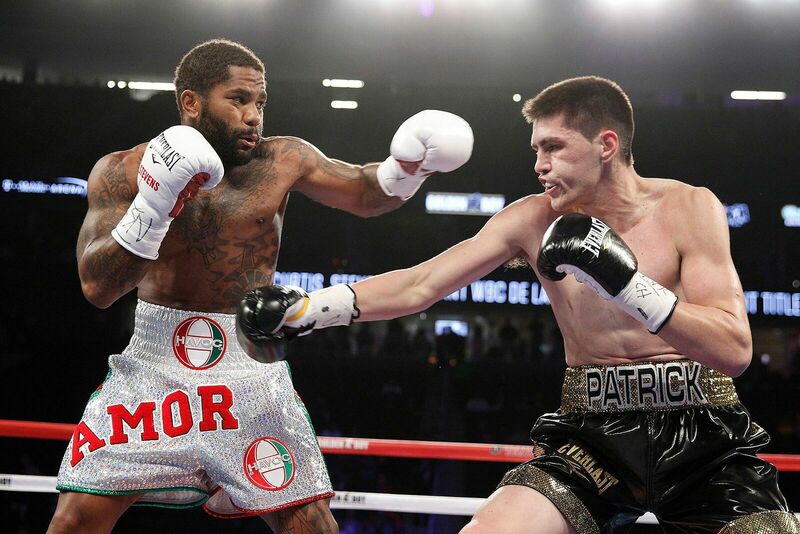 Opening the HBO Pay-Per-View broadcast, Brooklyn bomber Curtis “Cerebral Assassin” Stevens (28-5, 21 KOs) gave Brazilian Patrick Teixeira (26-1, 22 KOs) his first career loss to win the vacant WBC De Las Americas Middleweight Title. Both fighters began the fight with high intensity, exchanging blows during the first round. At the beginning of the second round, Stevens landed shocking hits to Teixeira, knocking the wind out of him. In a right jab to the face sending Teixeira to the mat with one minute and four seconds left on the clock, “The Cerebral Assassin” got the knockout, causing the crowd to go wild. Fireworks were sparked in the super bantamweight bout between undefeated fighter Diego De La Hoya (15-0, 9 KOs) who gave Rocco Santomauro (13-1, 1 KO) his first career loss. 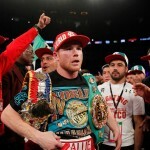 Both fighters entered the ring with high energy and intensity, desiring to maintain their undefeated status. By the second round, De La Hoya sent him to the mat with a massive body punch and after Santomauro got back up, was attacked by De La Hoya through a series of combination punches trying to finish Santomauro off, however, was cut off by the bell. The fight turned into an all-out brawl, as both hungry fighters entered into heated exchanges of punches throughout the bout. De La Hoya was able to get Rocco various times in the head, hurting Santomauro with a cut over his eye by the end of the sixth round, and was on the offensive with consecutive blows to the head. Santomuaro’s corner decided to call the fight in the seventh round at 1:59, landing De La Hoya the massive TKO win, pleasing the crowd with the show. 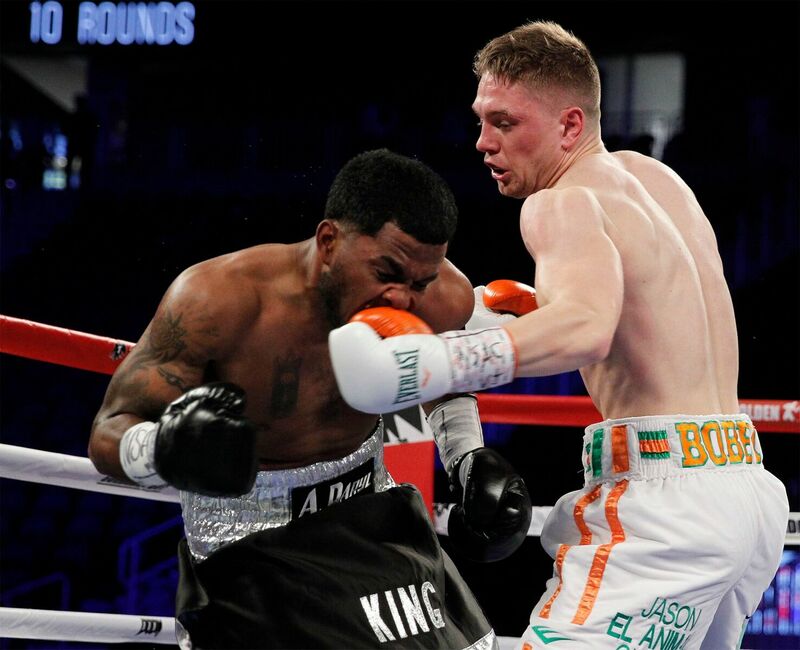 The fourth showdown of the night brought in fan-favorite, Ireland’s up-and- coming undefeated middleweight Jason “El Animal” Quigley (11-0, 9 KOs) combating Texas’s “King” James De La Rosa (23-4, 13 KOs). 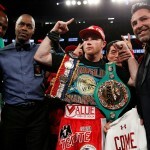 Boxing fans were clearly in for a treat, as both fighters entered with something to prove inside the ring. 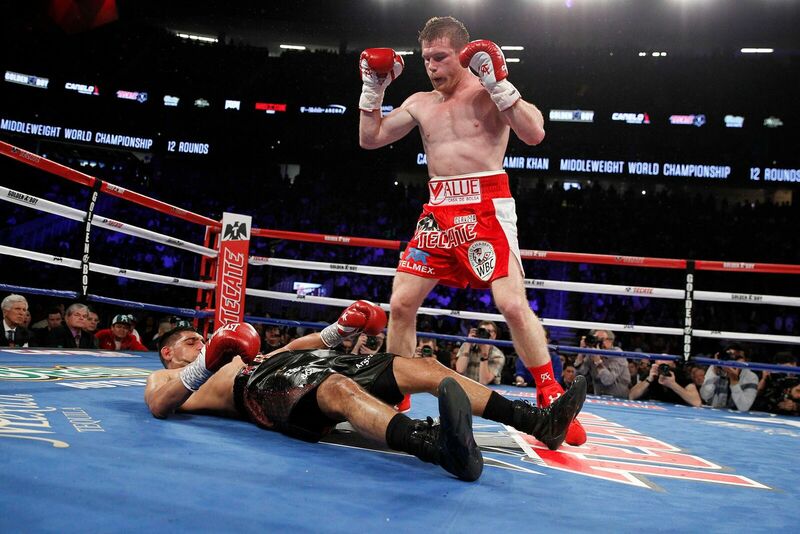 Quigley was ready, landing the first shot to kick-start his dominance in the ring. 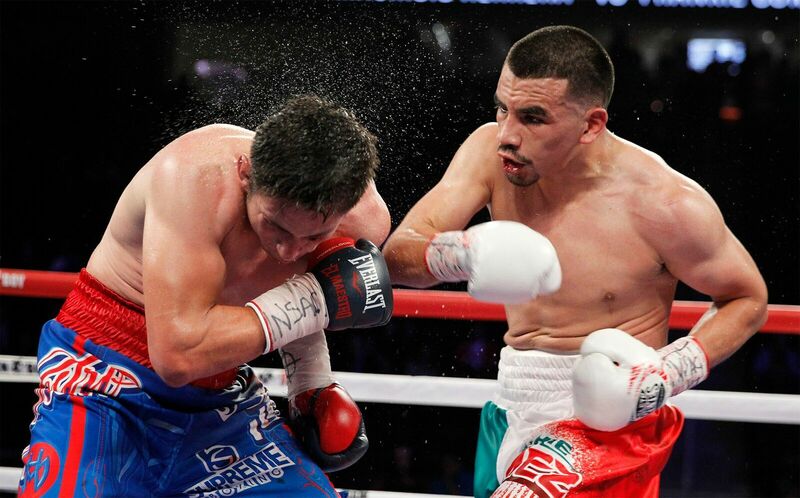 De La Rosa was tough in the mat, withstanding Quigley’s tough jabs to the body and face. Round two saw “El Animal” utilizing his left arm, quick with his shots. 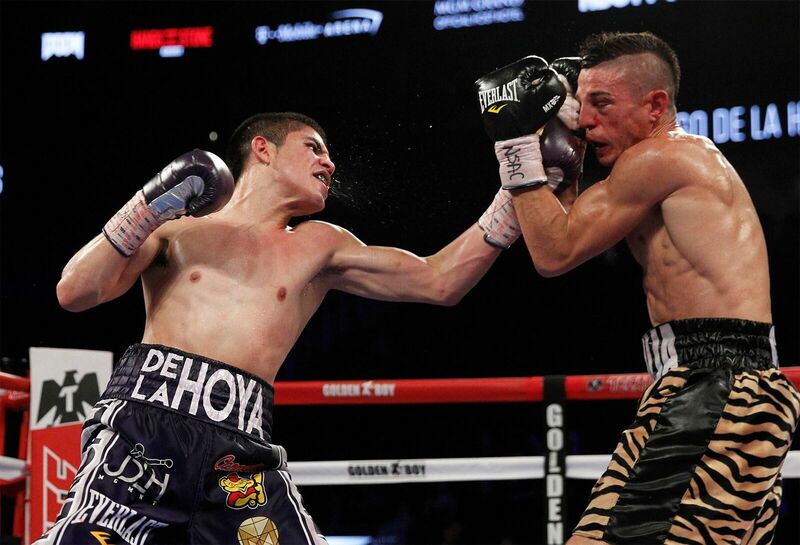 De La Rosa landed various combinations, however, the bombs landed by Quigley startled De La Rosa. Towards the middle of the fight, both fighters moved their feet, using solid footwork and the entire ring as their stage. De La Rosa entered the fifth round throwing his shots to Quigley, but Quigley rapidly responded by taking control and disorienting James with his hits. 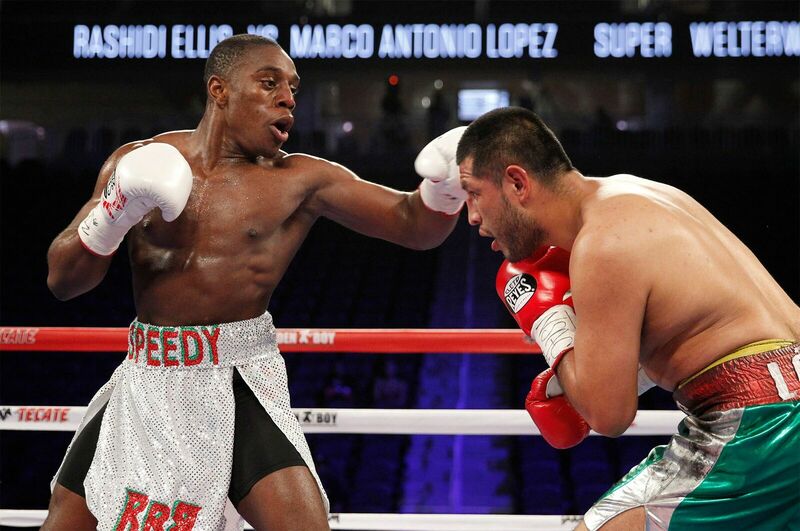 Round seven saw De La Rosa taking control of the fight, running after Quigley. By the end of the fight, both fighters grew tired, holding each other through various points of the fight. 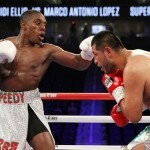 Nevertheless, Quigley took control of the last round and was handed a unanimous decision victory by the judges to maintain his undefeated status. Undefeated Lamont Roach, Jr. (11-0, 3 KOs) successfully took on Mexico’s Jose Arturo Esquivel (9-5, 2 KOs) in an eight-round lightweight bout. Both fighters entered the ring cautiously, feeling out each other. Lamont then stunned the Mexican fighter with a series of shots to the face and body, and quickly began to take control, overwhelming him. The seventh round saw the two exchanging, both fighters landing shots to the body. However; Esquivel was left victim to the pressure that Roach generously supplied. 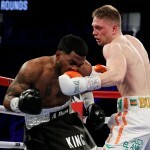 The final round saw the likes of both fighters putting on a show, but the clear winner of the bout was Roach, Jr. who led with his notable ring tactics and was awarded the unanimous decision victory by the judges. The excitement continued into the second welterweight fight of the night, which featured Boston’s undefeated Rashidi “Speedy” Ellis (15-0, 11 KOs) taking on the likes of Marco Antonio Lopez (24-9, 15 KOs). Both fighters brought their “A” game, with Ellis hungry and on the prowl in the ring. Lopez was able to land a few shots to the face and body, but was soon overtaken by Speedy’s flurry of punches. The third round saw Ellis use his left jab a lot more while deflecting Lopez’s offensive with uppercuts. Ellis dominated the rest of the fight, using good movement and effectively landing his combination blows. In the last round, Ellis brought the fireworks, with the referee having to reset the fighters. The fighters turned up the heat in the last seconds of the fight, both unleashing their fury. With a unanimous decision of 80-72 awarded by all three judges, Rashidi Ellis was able to maintain his undefeated status. Opening up the card as the first fight ever at the T-Mobile Arena, a slick and speedy David Mijares (1-0) made his pro-debut against Omar Reyes (1-3) in a four-round super lightweight bout and dominated from the first round, landing effective body shots. Things heated up quickly with Reyes pumping up the defense and responding with a series of jabs. By the last round, Mijares was clearly looking for the knockout, confident with his punches. The judges all agreed that Mijares dominated the fight, awarding him the unanimous decision victory to begin his professional career.